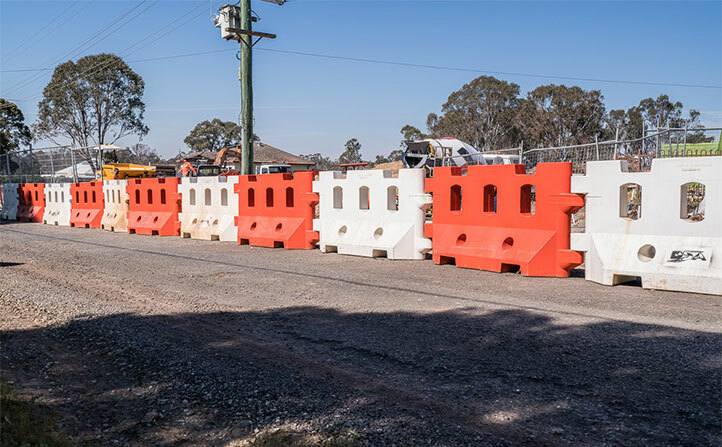 Low speed vehicle and pedestrian traffic delineator barrier that meets Australian Standards. Lightweight and easily connected to form a barrier around civil construction projects, building development sites and sporting events. Also great for car parks, general pedestrian delineation and crowd control. Fortress Fencing recommends the Zone-Block barriers for vehicle and pedestrian control and delineation. Fortress Fencing Water Filled Barriers are manufactured from a tough, high impact polyethylene. This material ensures flexibility and durability on site. 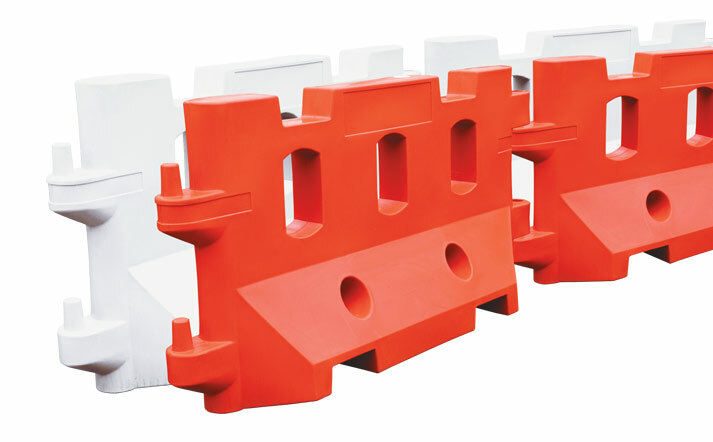 Additionally, lightweight Zone-Block barriers are easy to handle. Two people can install a complete system of water filled barriers to meet any situation. Once filled with water, they create a sturdy and robust free-standing barrier. Weighing just 26kg when empty, the Zone-Block Water Filled Barriers are easily filled via a top mounted valve. Once filled they provide a solid 200kg barrier that won't budge. Each unit measures two metres long and one metre high, and workers can attach many together to create any length barrier. With a modest width of 450mm the Zone-Block Water Filled Barriers will not encroach far into roads or walkways. The modules clip together using a simple moulded pin system, meaning no loose parts. This interlocking system also allows each barrier to remain connected while angled over 90 degrees. 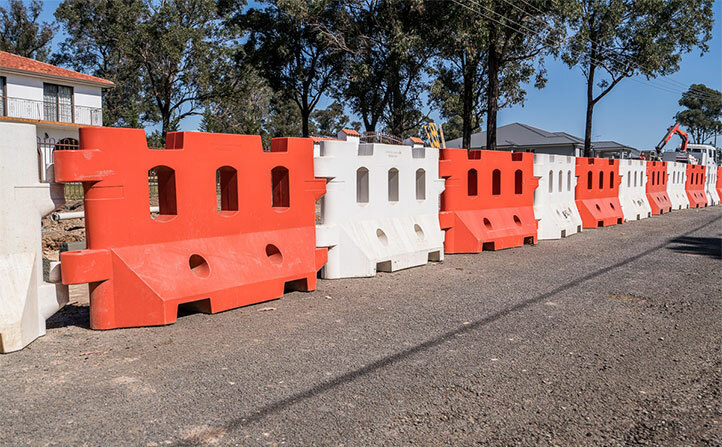 Available in orange and white, these barriers offer a high visibility solution. Another great feature of the water filled barriers is the ability to fasten mesh panels or plastic hoarding to each module. This not only provides added security to your site, it is also a great opportunity to promote your brand! Fortress Fencing can provide printed shadecloth, scrim or fence mesh as an effective way of promoting your brand or project. We can also supply high quality vinyl wrap printing for hoarding. 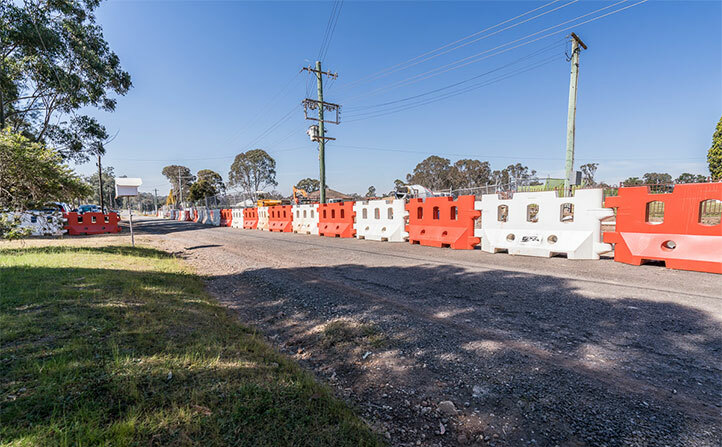 This therefore turns your construction site into a full colour advertising opportunity. The fortress water filled pedestrian barrier is manufactured from tough, high impact polyethylene. This provides flexibility, yet has strength and durability when filled with water. This means two people can easily install a complete system to meet any situation. With many variations of water filled barriers in the market, it can be difficult to choose what’s right. 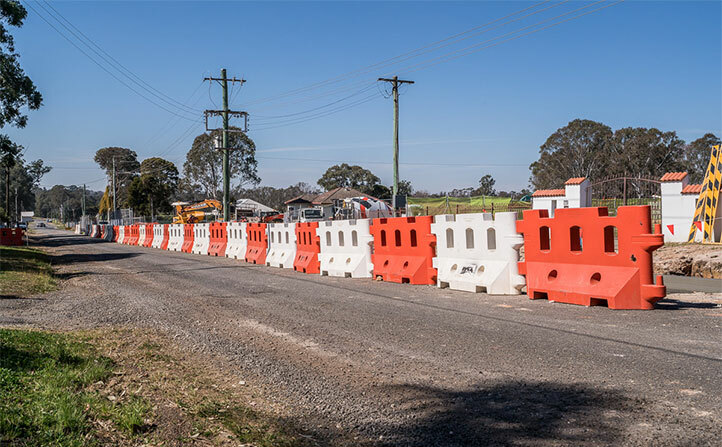 We specialise in understanding the right type of barrier is suited for your needs or project. We can offer advice on the best solution for your project. Our friendly team are always happy to help – if you need help, give Fortress Fencing a call on 1800 809 809.